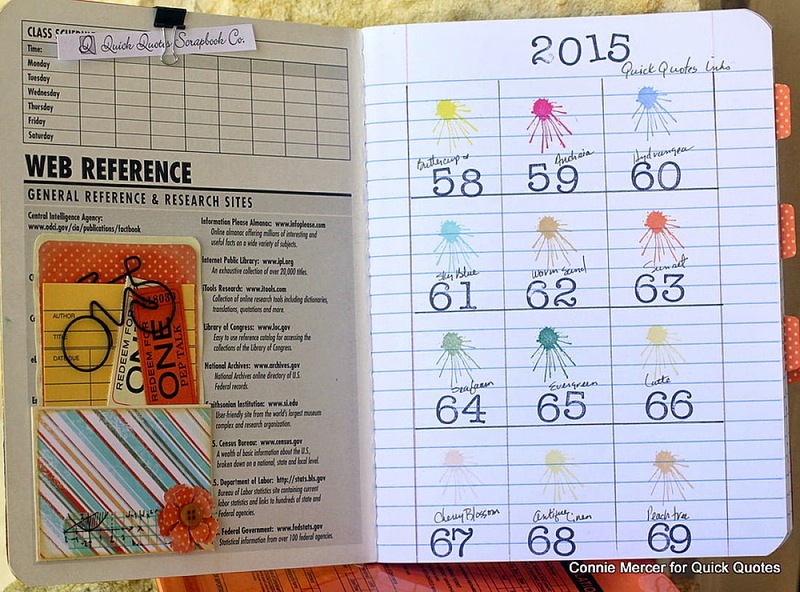 Blog Quick Quotes: Altered Notebook with Connie! Hi, Connie here with a journal type book, made from a composition notebook. I'm using the new Catalina Island Collection from Quick Quotes along with some PowderPuff Chalk Inks to cover and enhance the notebook. Adhere the Catalina Island 400 to the front and back of the notebook. Sand edges and ink with Latte PowderPuff Chalk Ink. Die-cut flowers using the reverse side (orange polka dots) of the Catalina Island 400. 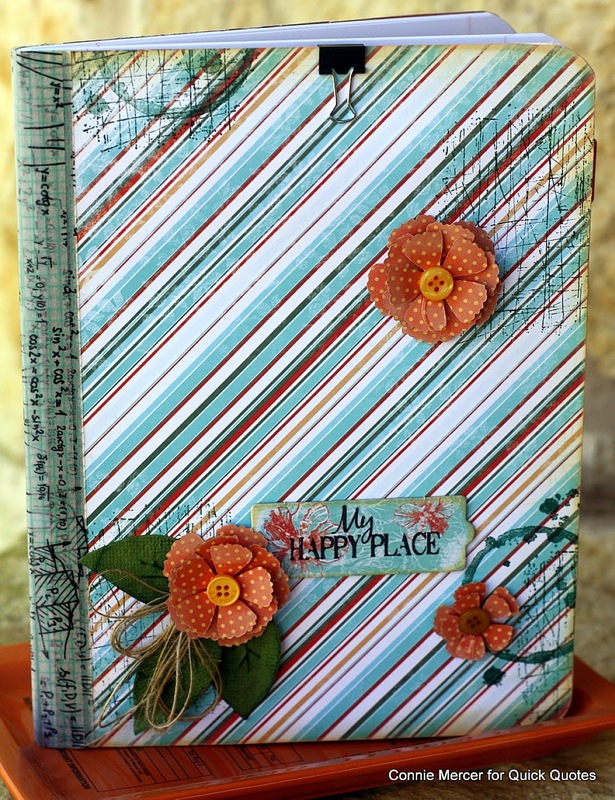 Use Evergreen PowderPuff Chalk Ink to stamp random background designs on the front of the notebook. Ink around the petals with Latte PowderPuff Chalk Ink. Cover spine with washi tape. Place Catalina Island Chipboard sticker (lower middle) " My Happy Place"
I decided to use this notebook to keep track of my PowderPuff Chalk Inks and other crafting supplies. Quick Quotes also has a printable for keeping track of the Quick Quotes PowderPuff Chalk Inks that can easily be printed from your computer. You can download the ID sheet from HERE. 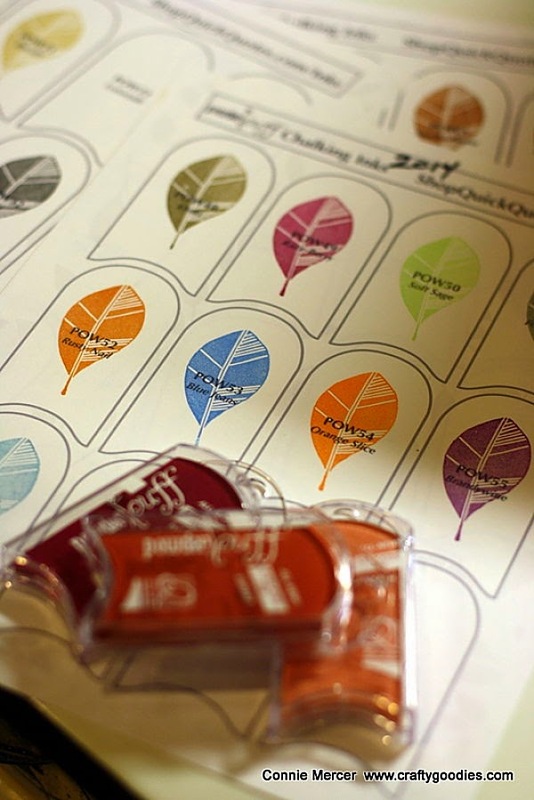 OMG all this time, and I never knew about the printable sheet for the inks! I LOVE IT! Thank you QQ and thanks for bringing that to my attention!